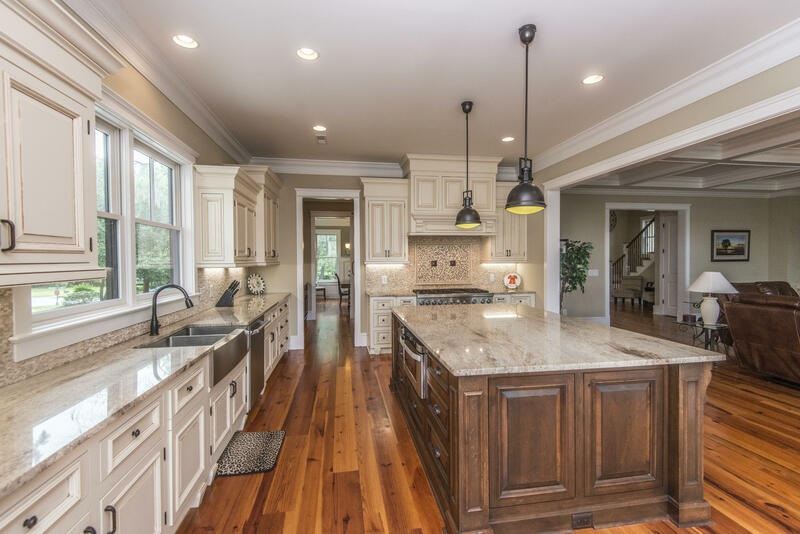 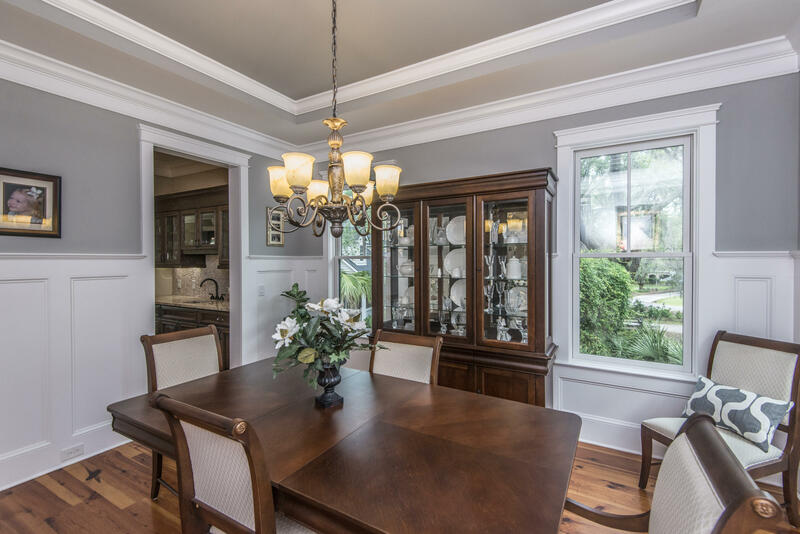 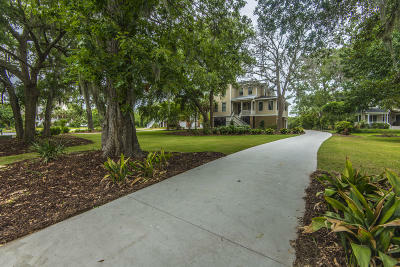 A property like this only comes on the market every so often in sought after Gift Plantation. 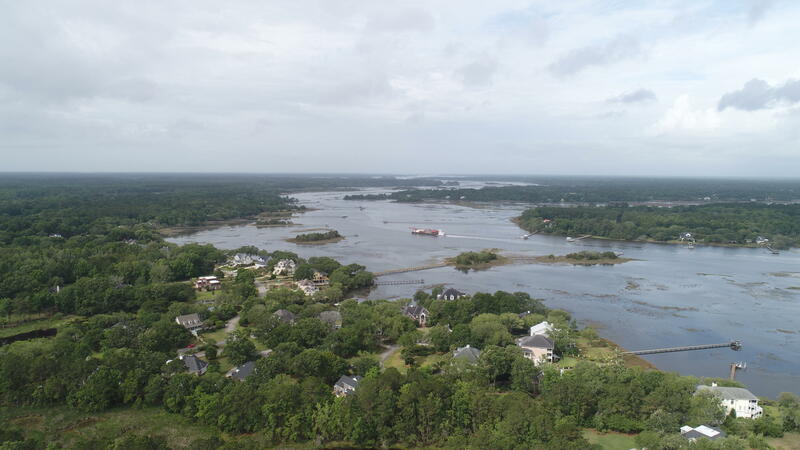 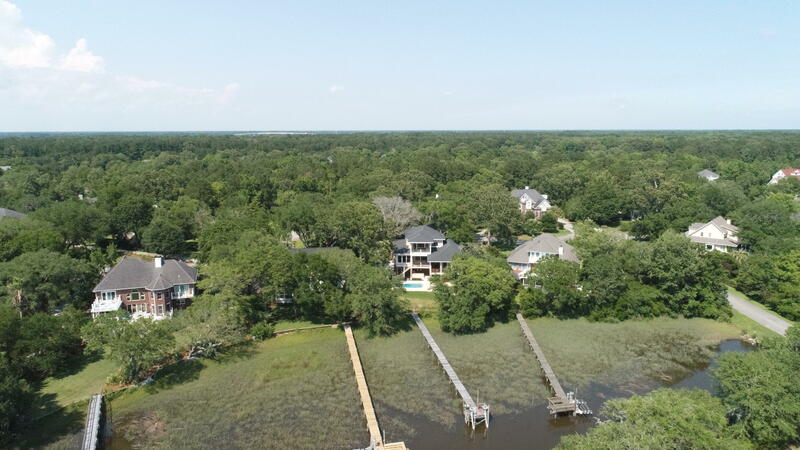 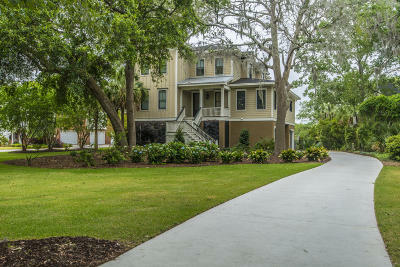 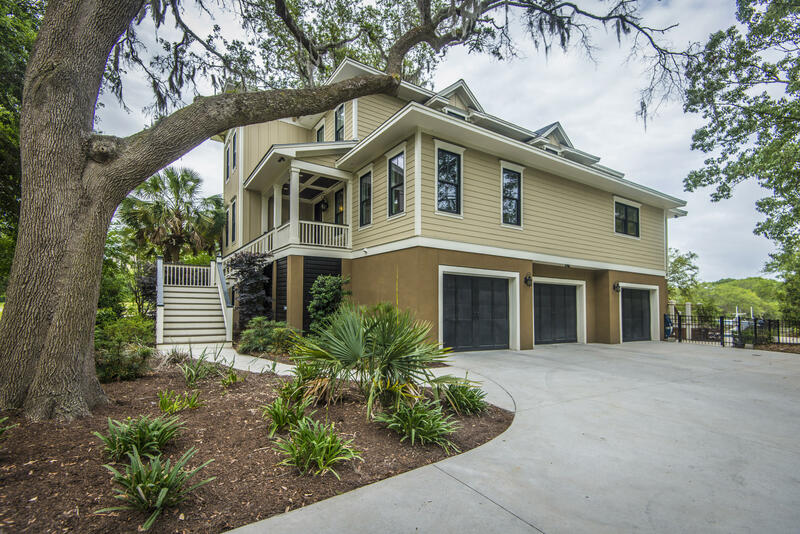 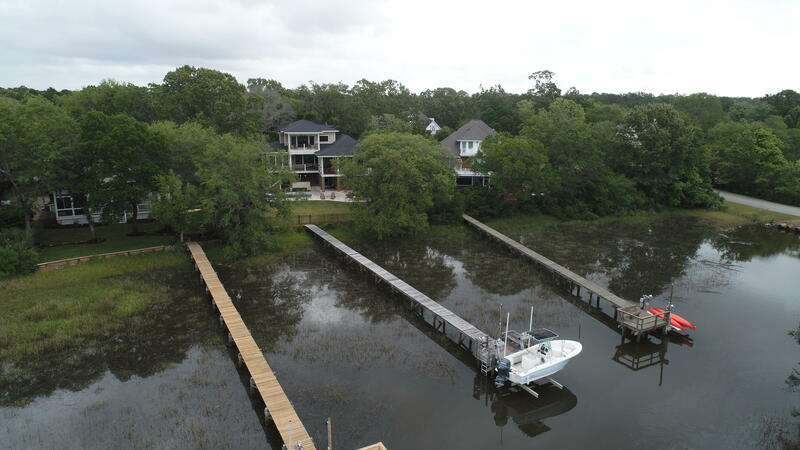 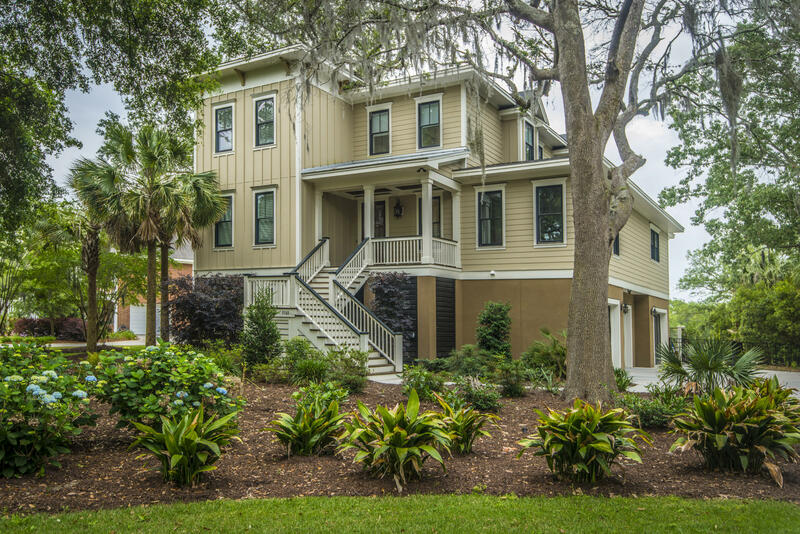 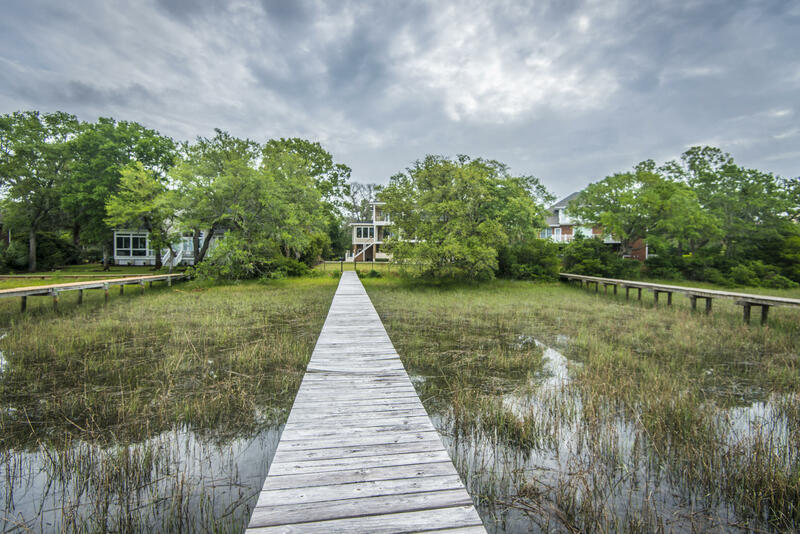 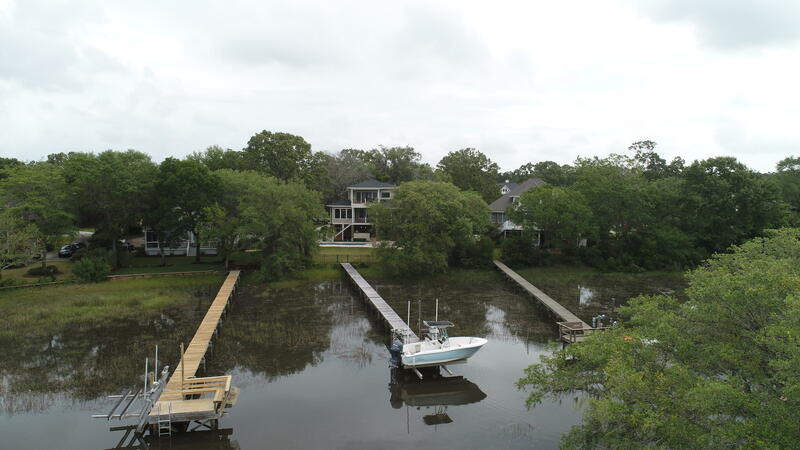 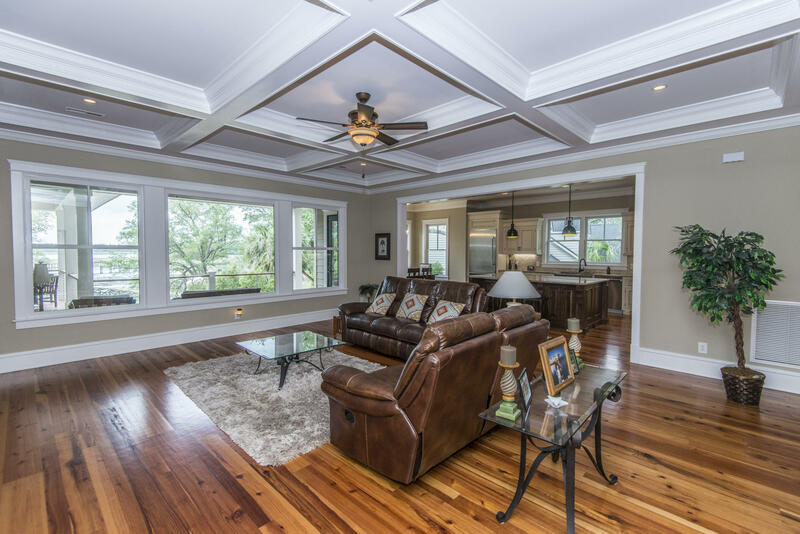 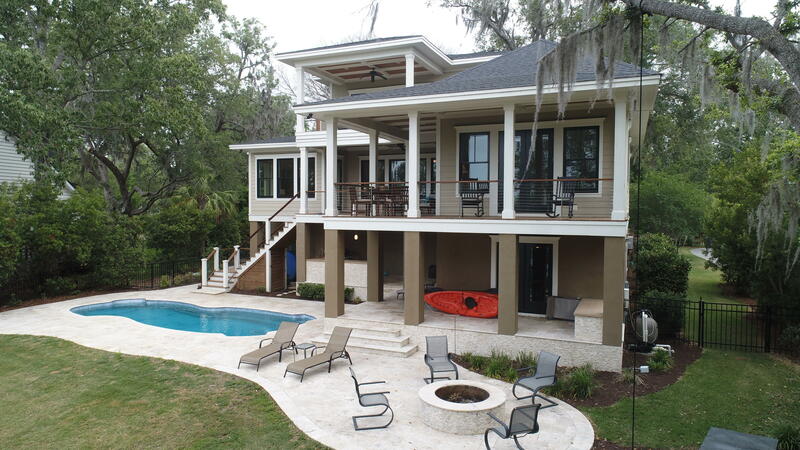 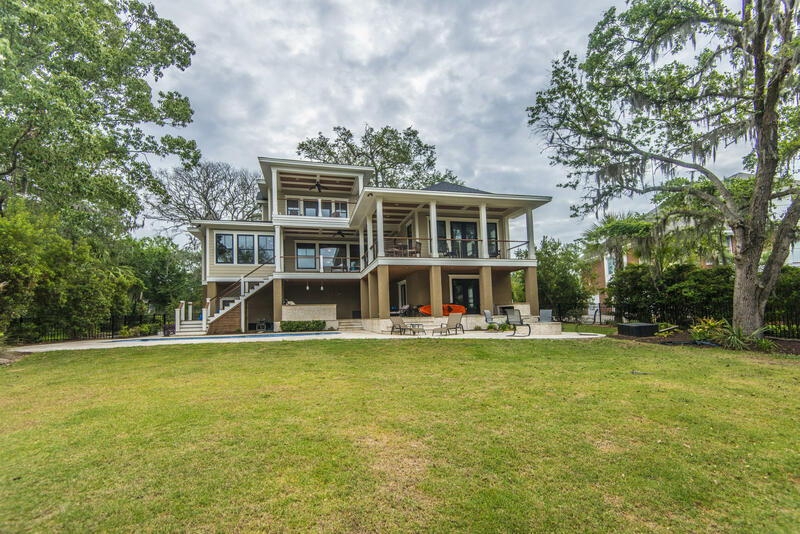 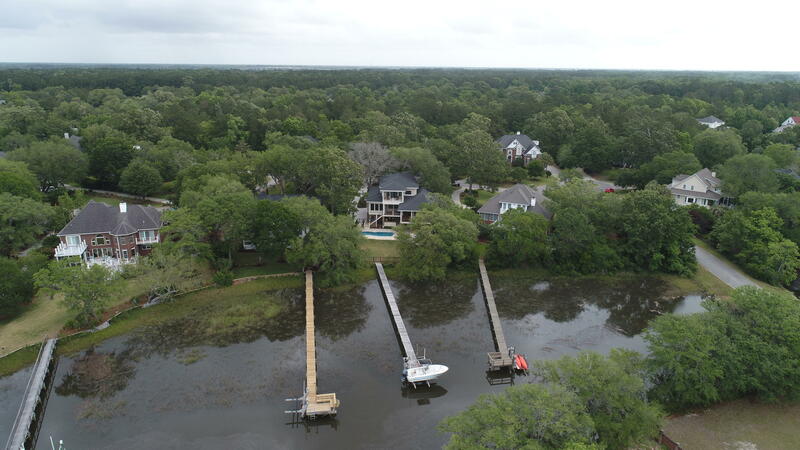 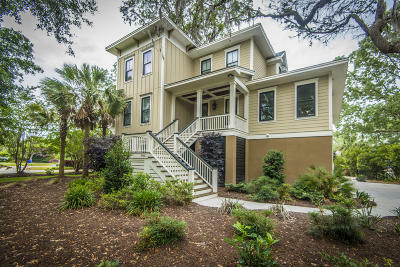 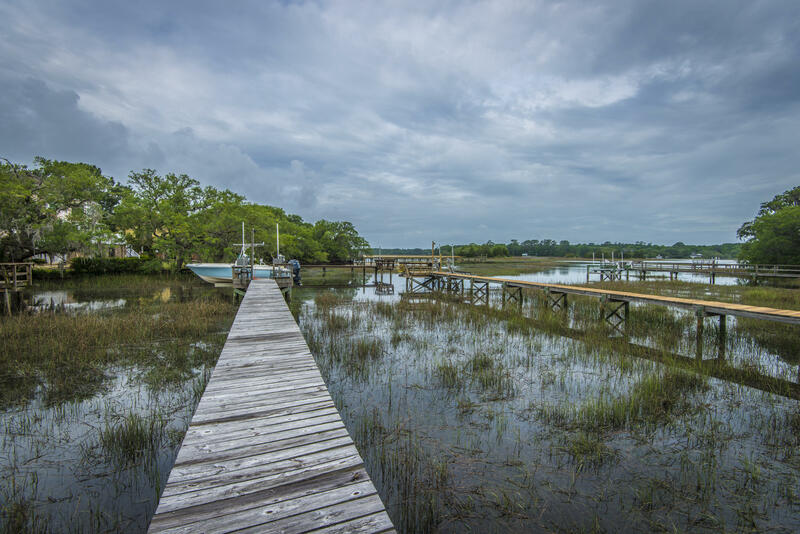 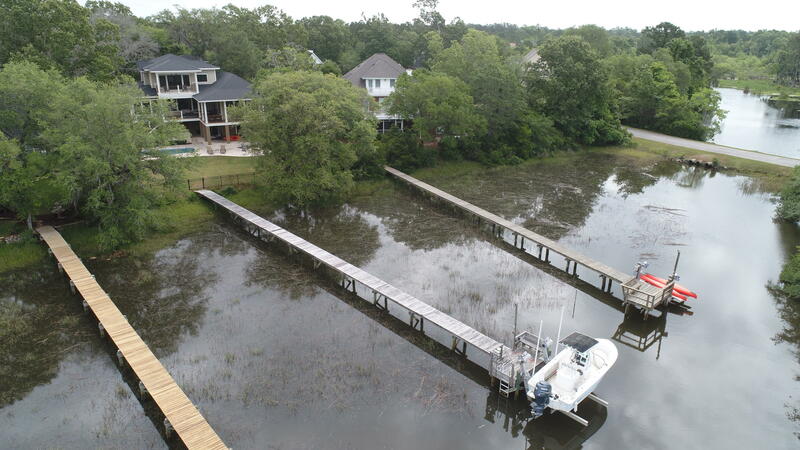 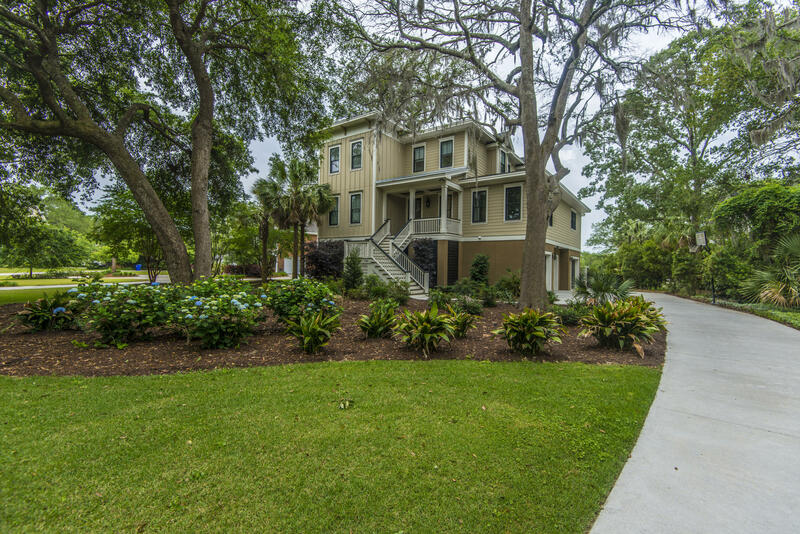 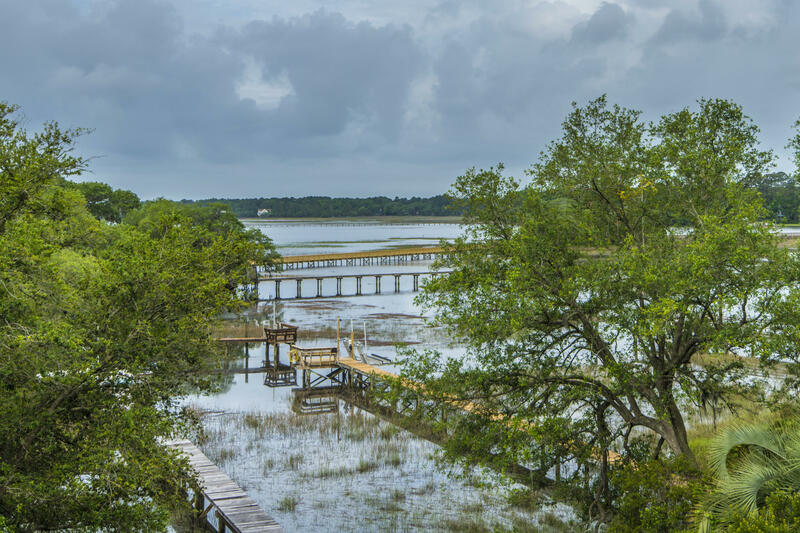 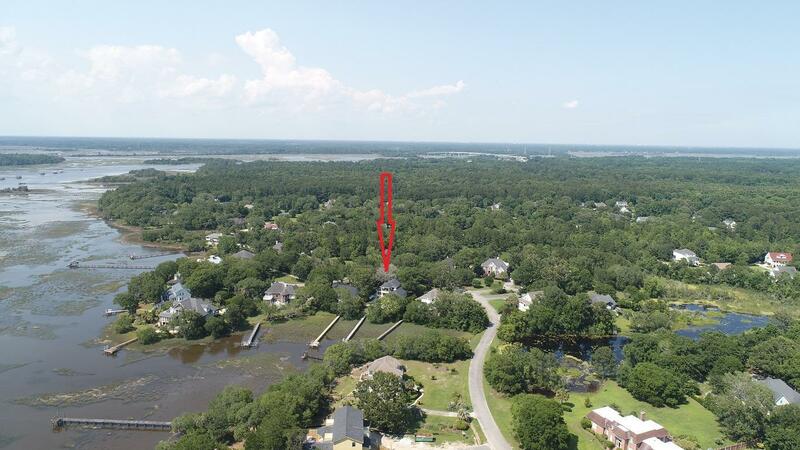 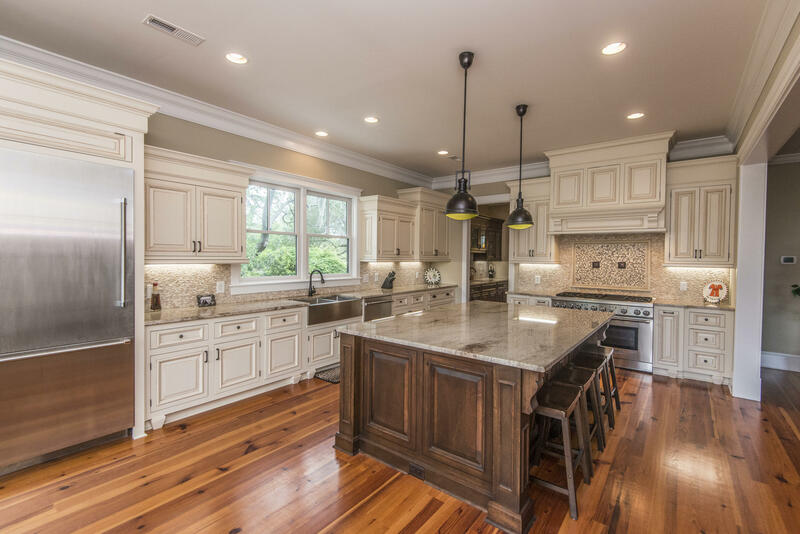 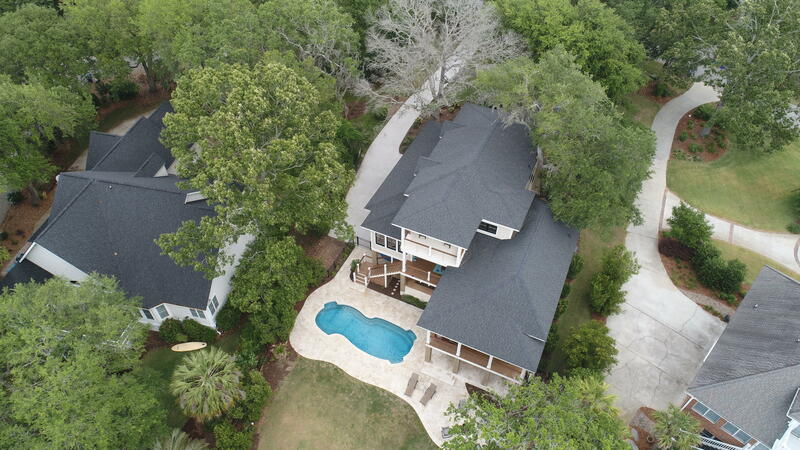 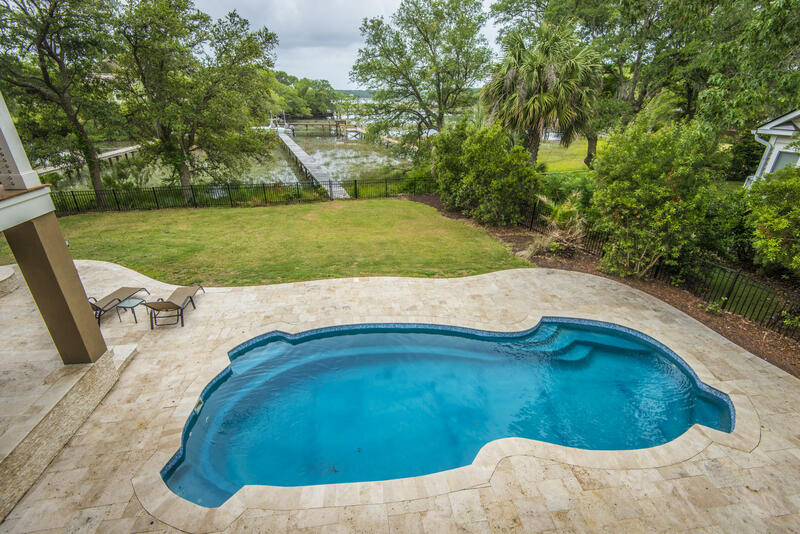 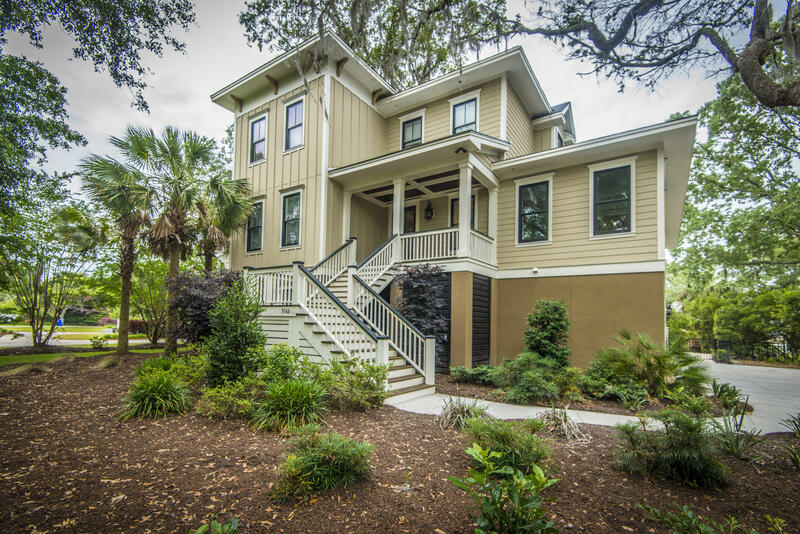 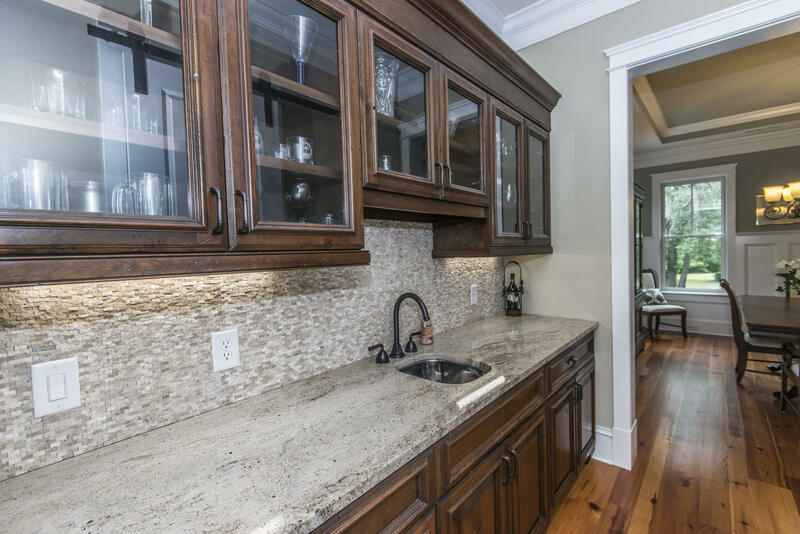 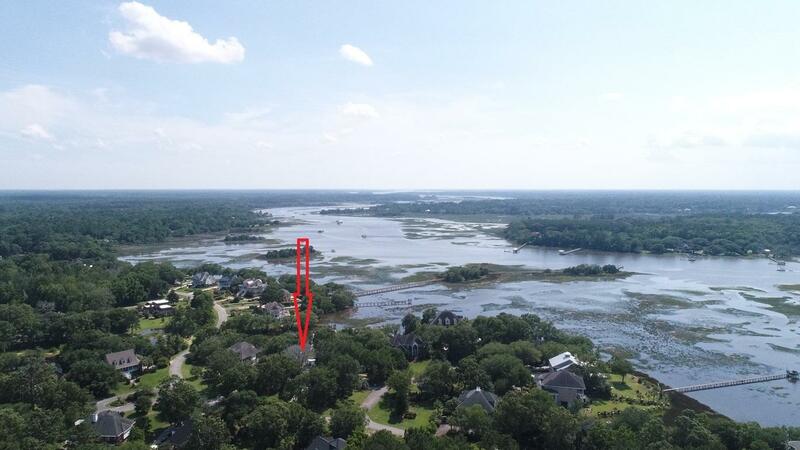 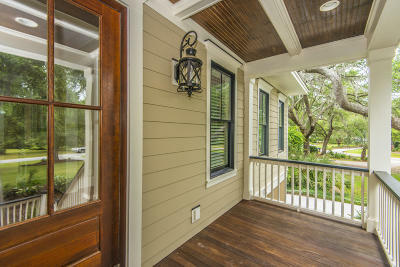 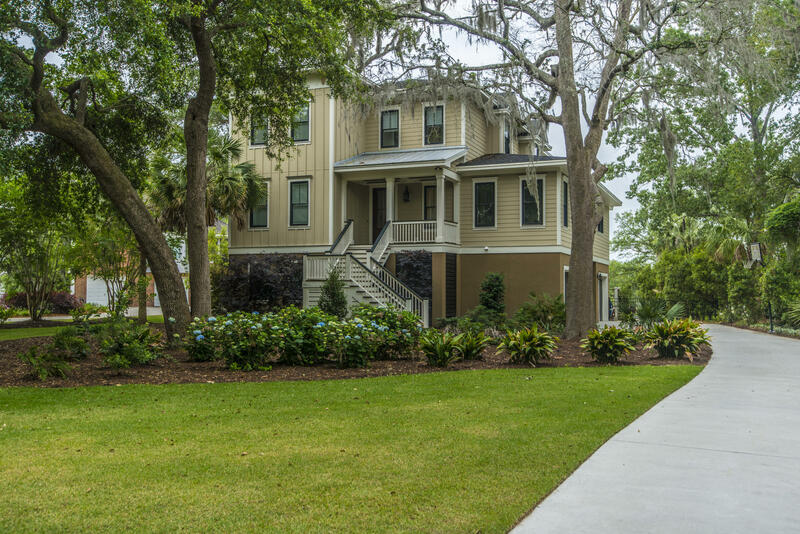 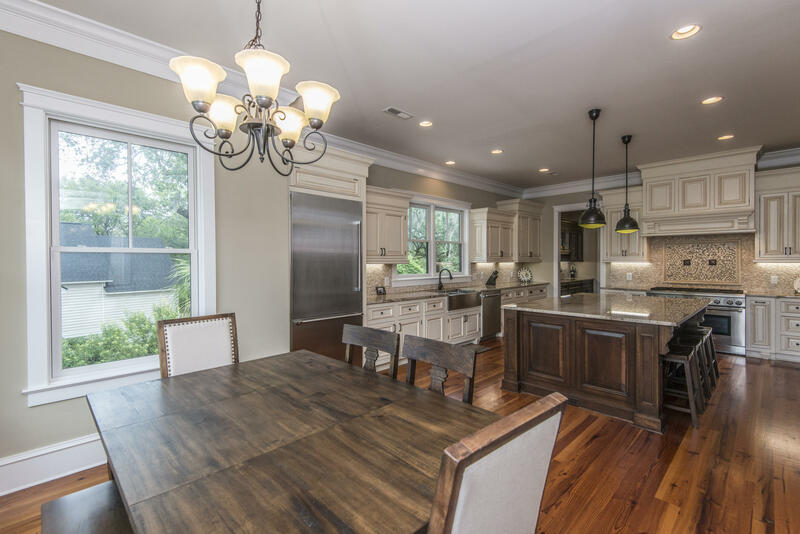 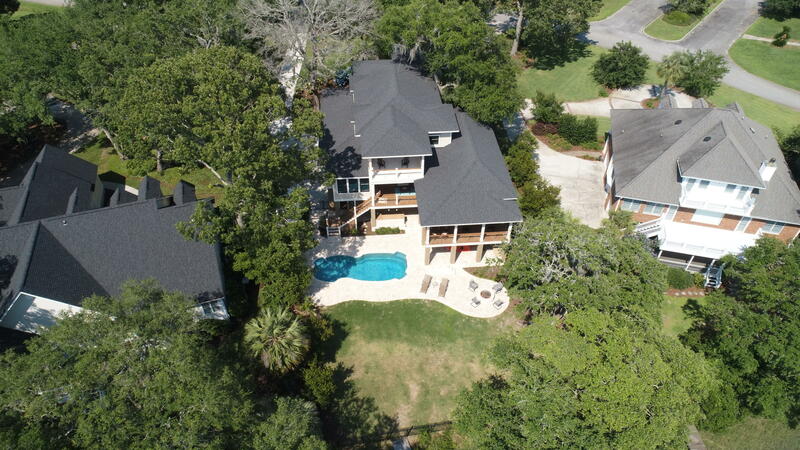 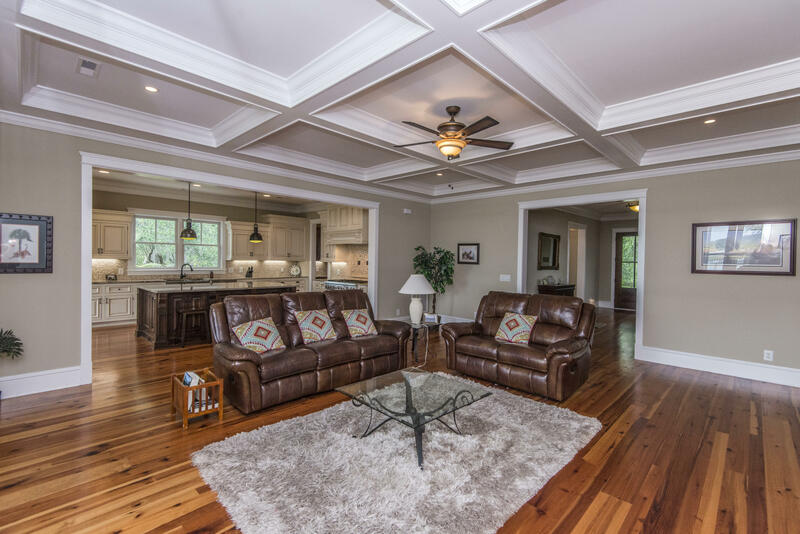 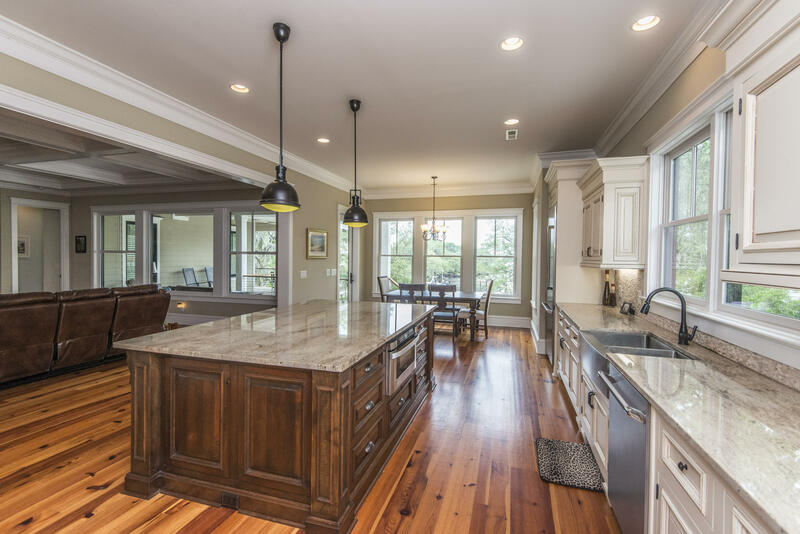 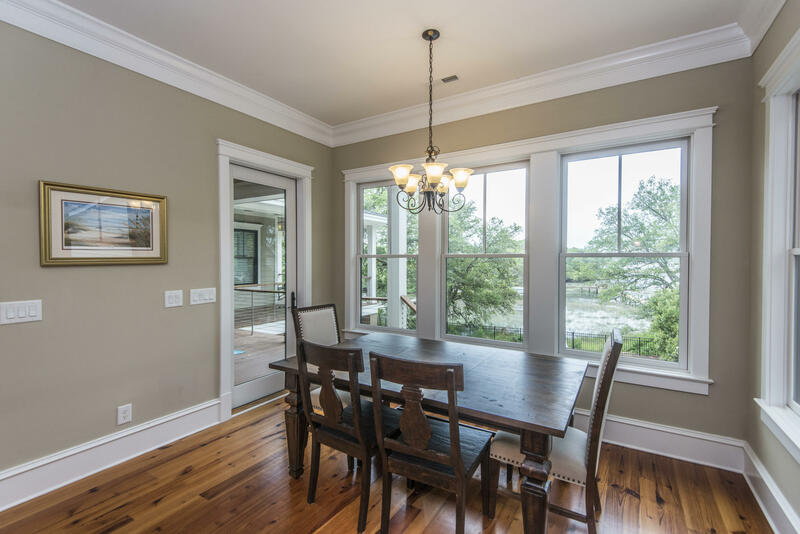 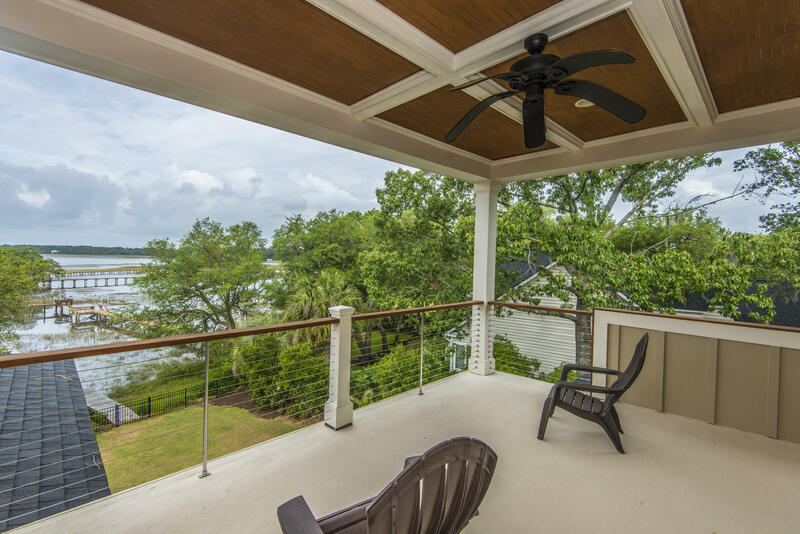 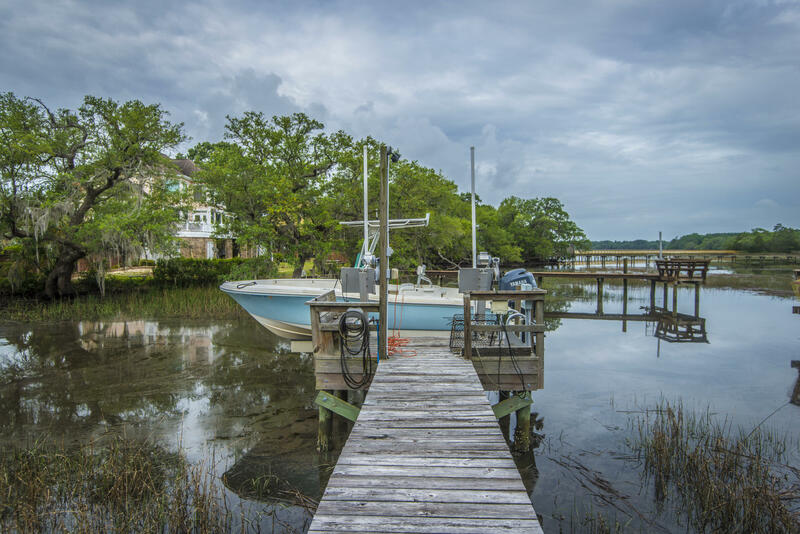 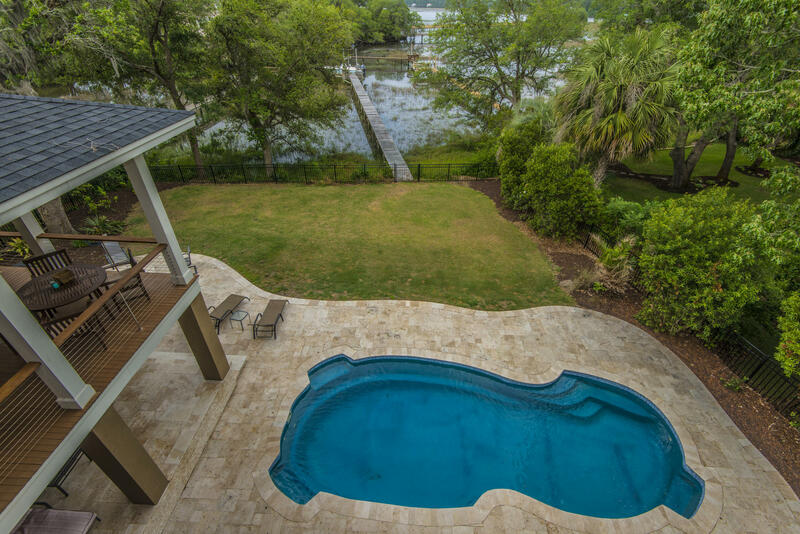 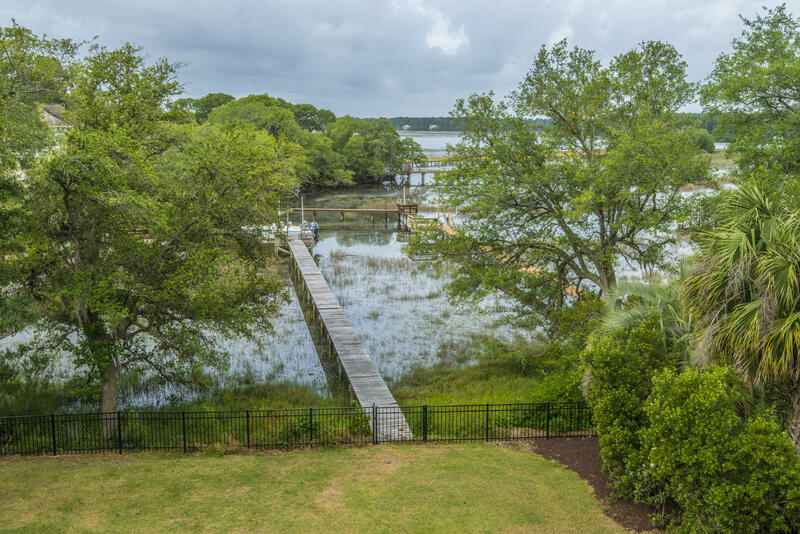 3988 Gift Blvd is located on a beautiful tidal creek w/ a short 130 ft dock & a 8, 000 lb boat lift. 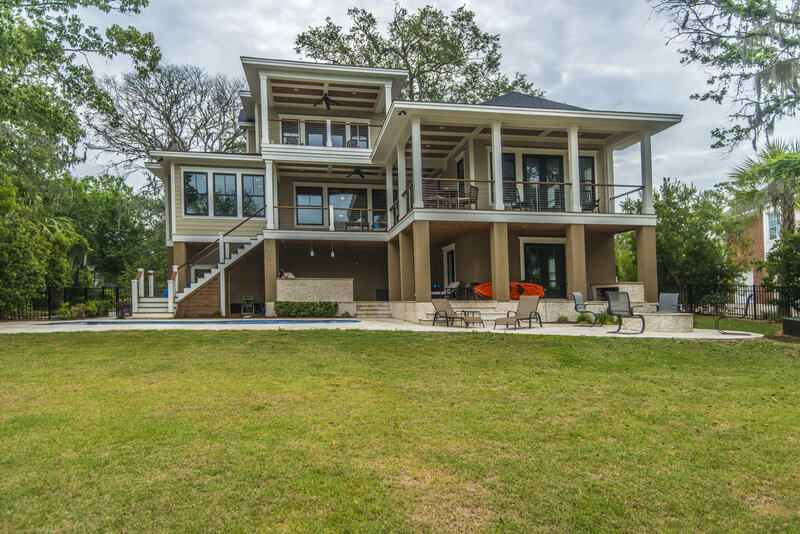 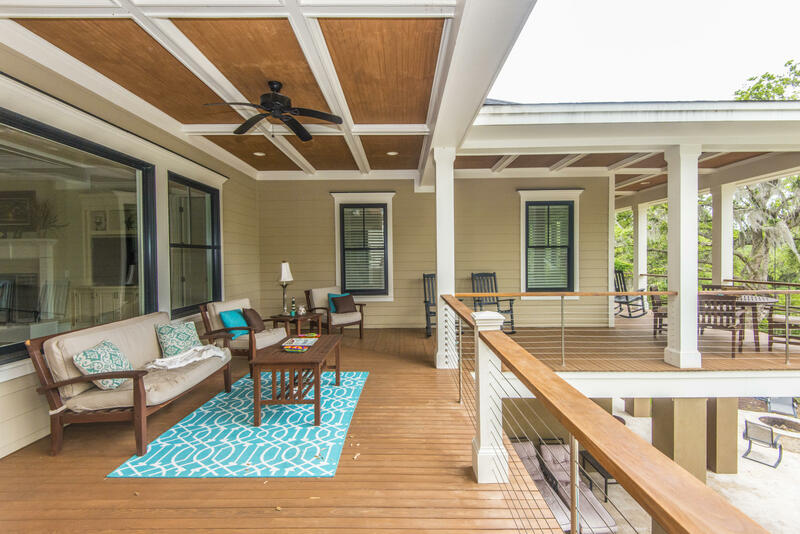 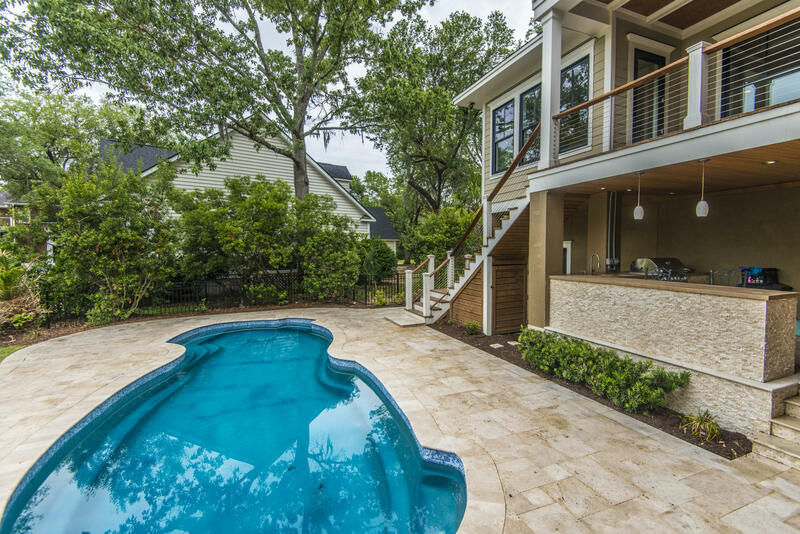 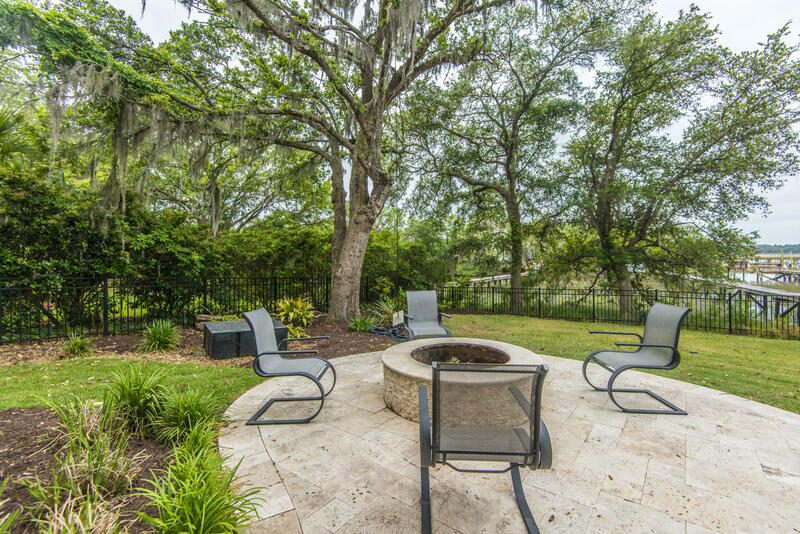 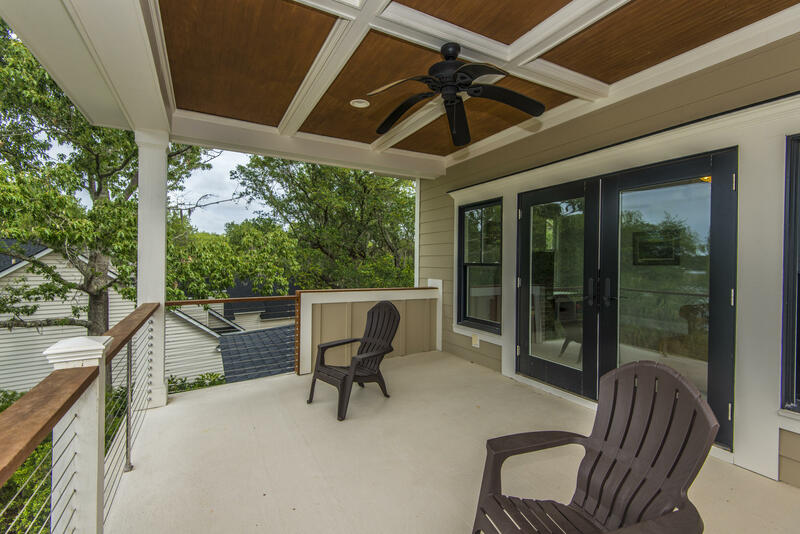 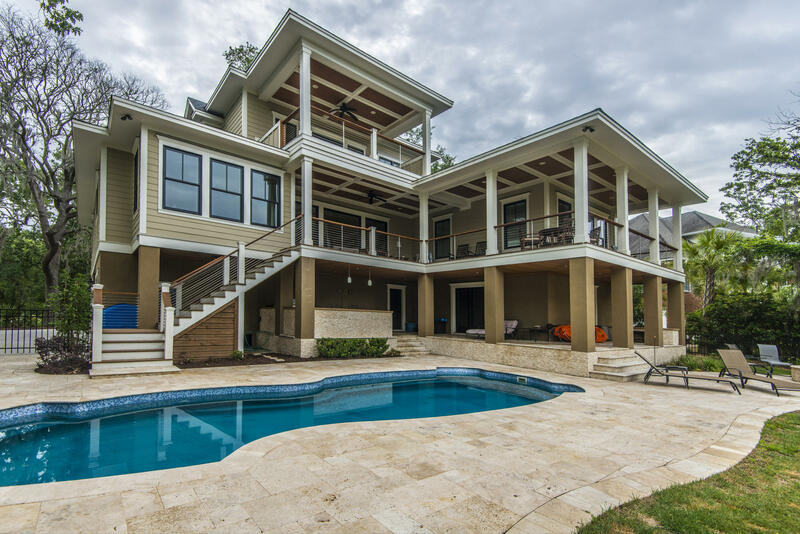 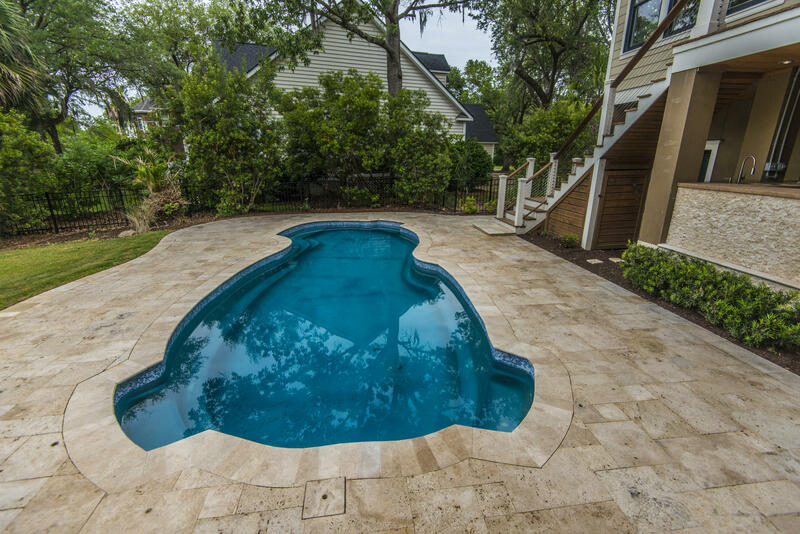 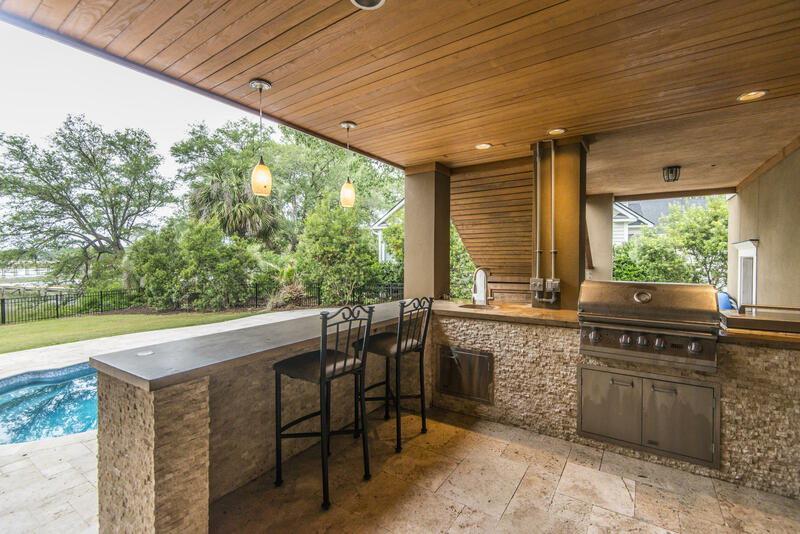 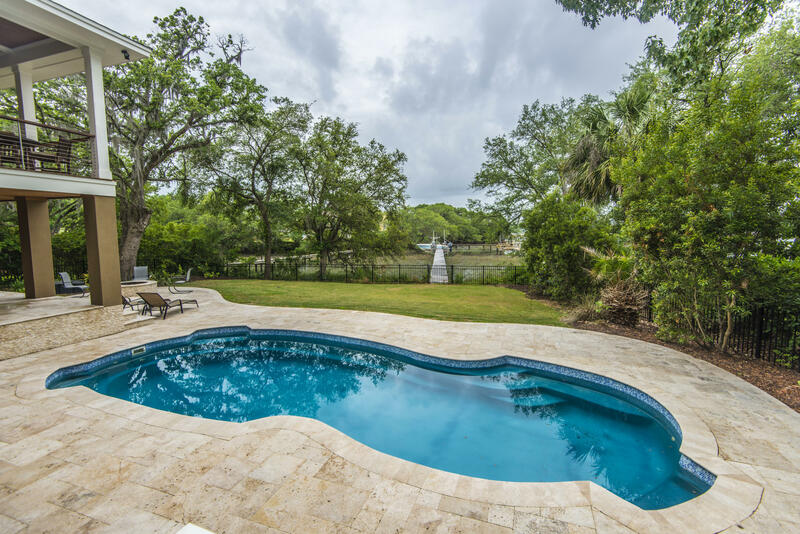 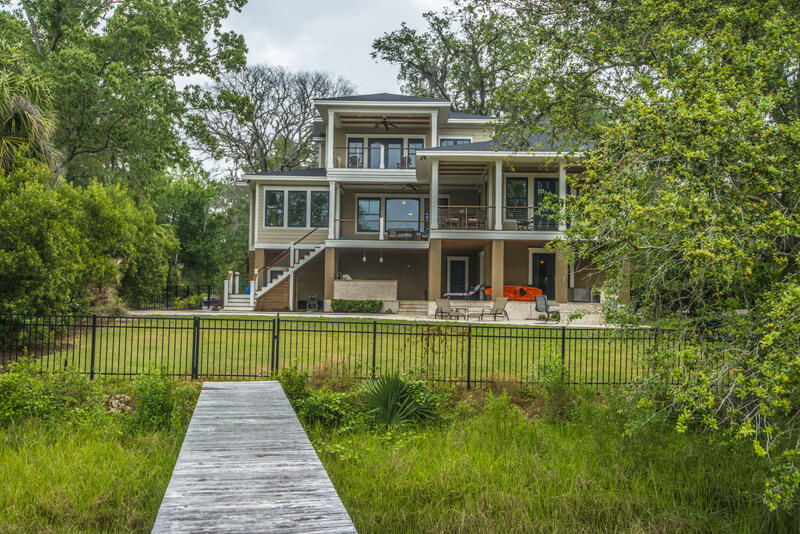 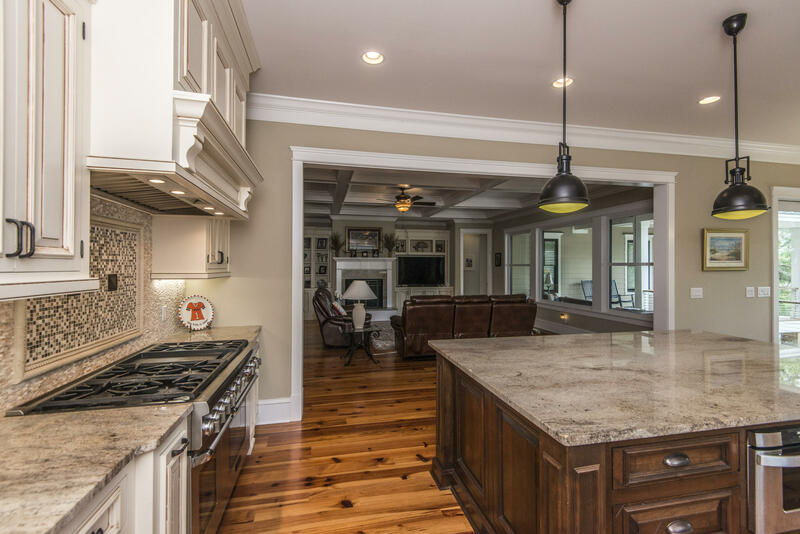 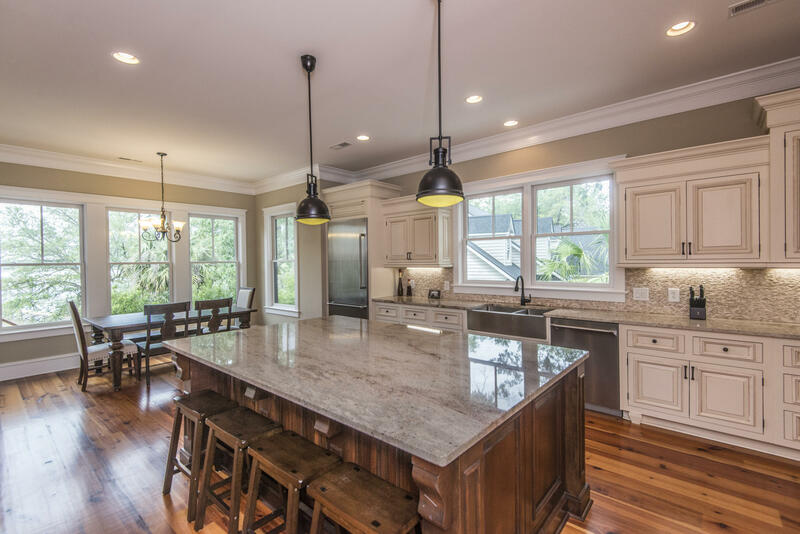 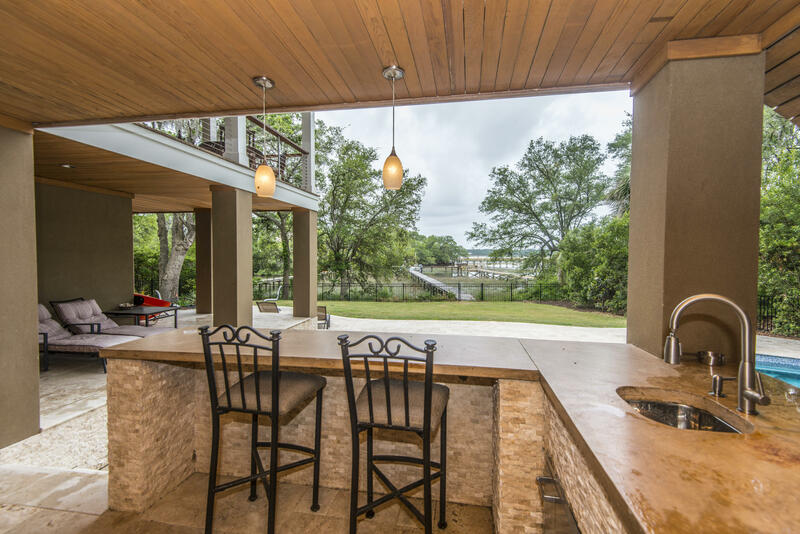 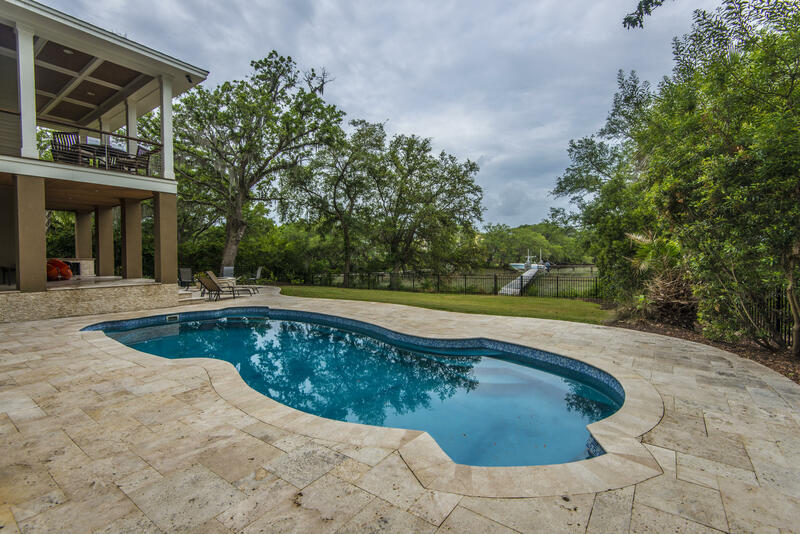 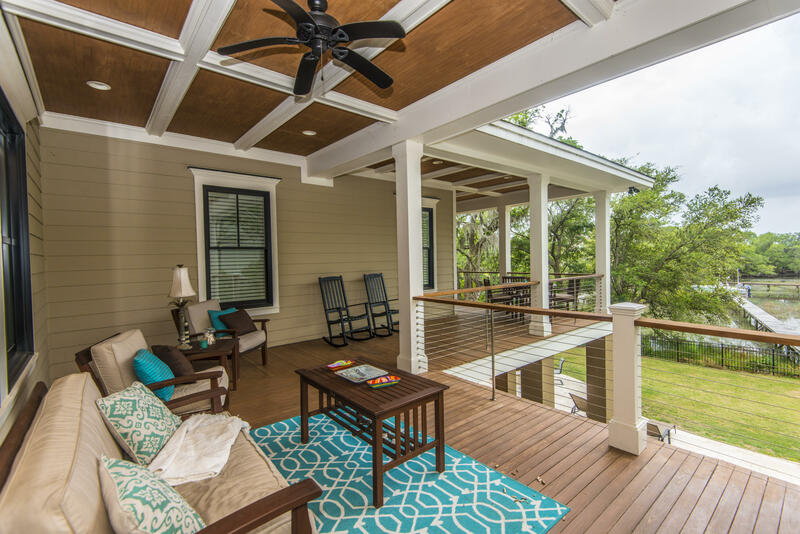 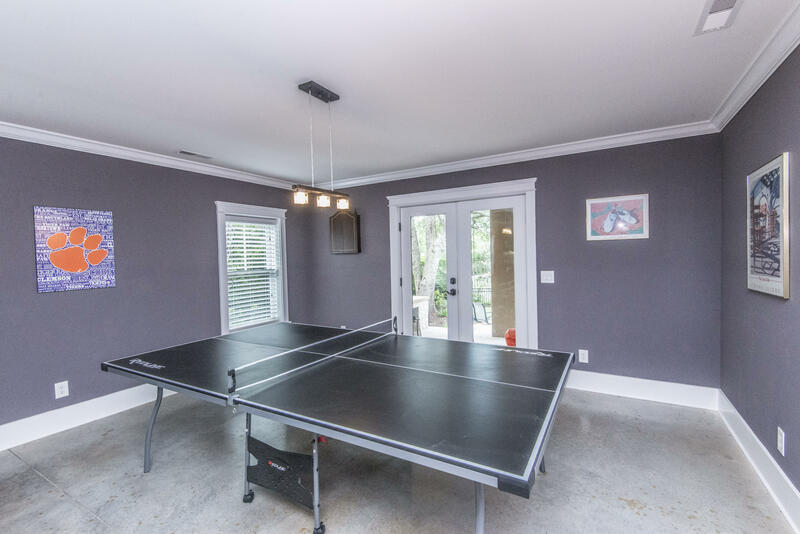 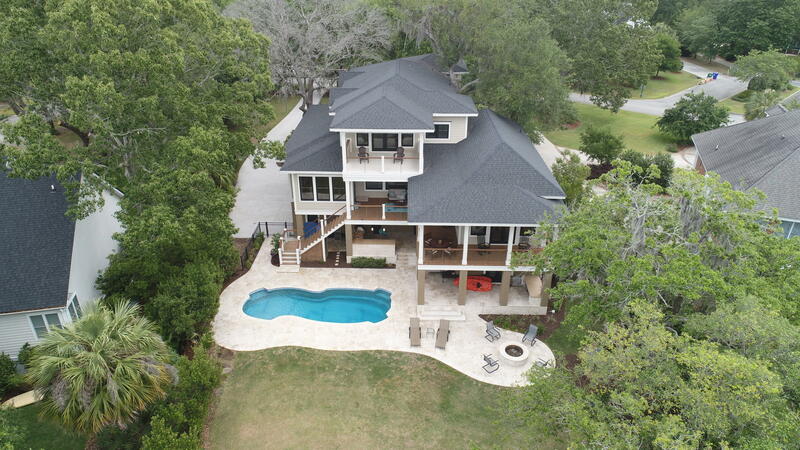 This property was designed to enhance the water views from over 1, 000 sqft of the 2 back porches which includes the pool, fire-pit, & outdoor kitchen w/ polished concrete counter-tops, grill & sink. 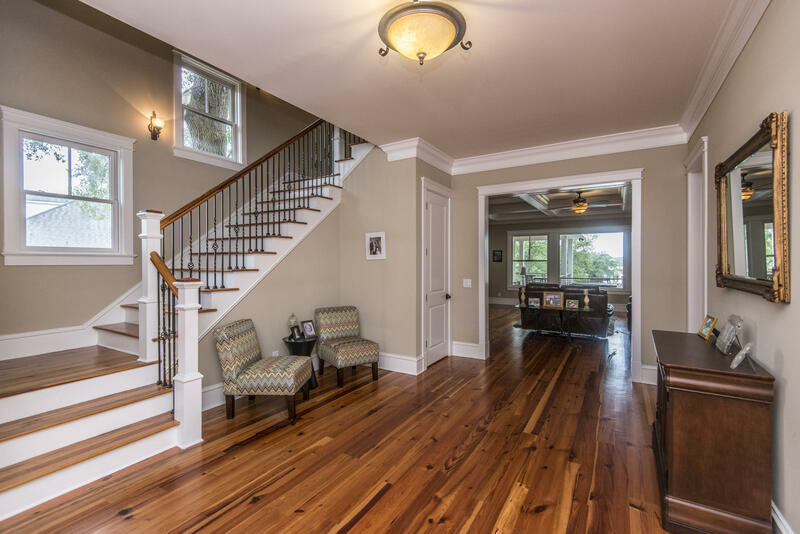 The inside offers 3 floors of pure custom finishes. 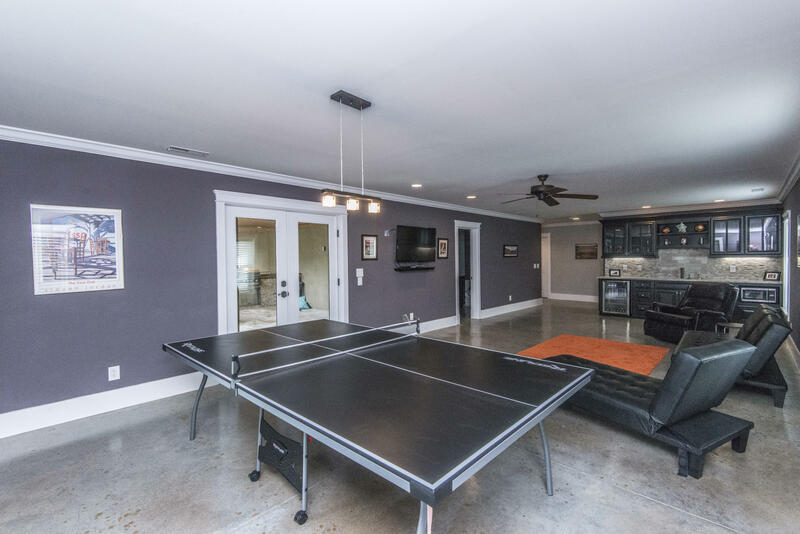 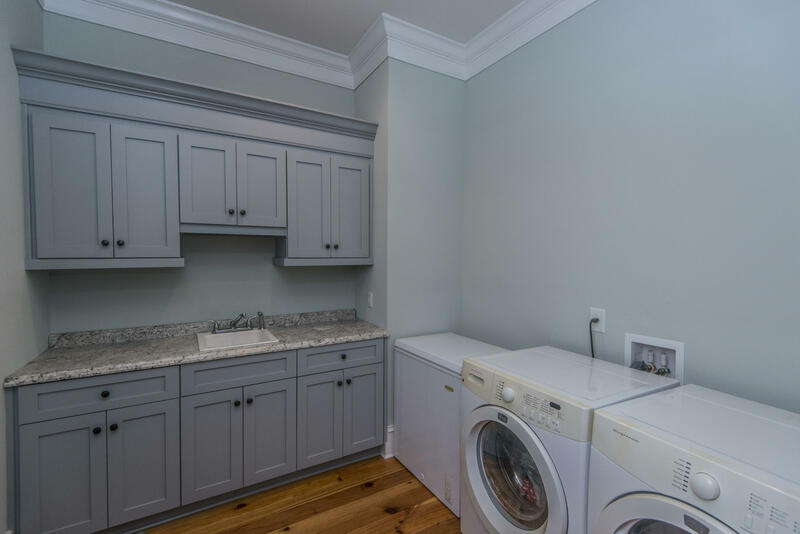 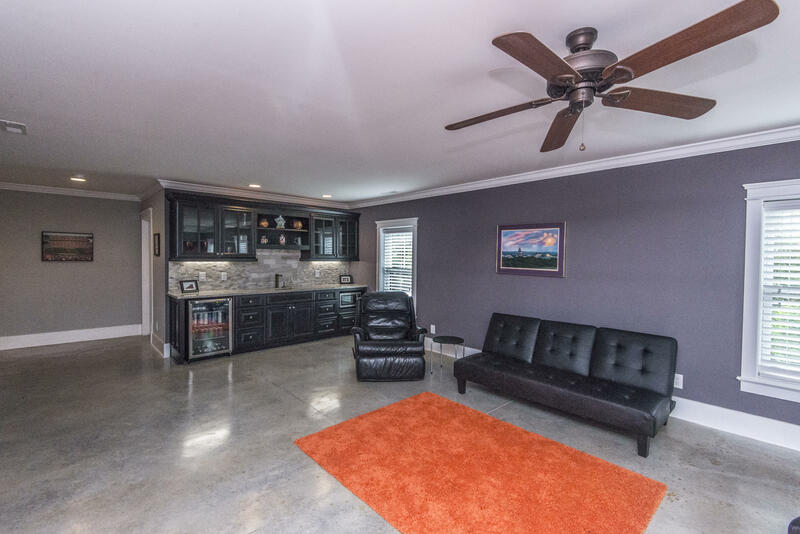 Floor 1 could be a mother in law suite or man cave or game room w/ just over 1, 400 sqft of living space, polished cement floors, granite wet bar, sink, fridge & full bath. 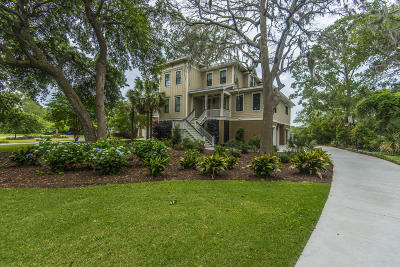 Floor 2 is almost 3, 000 sqft offers a master bedroom w/ vaulted ceilings tub, tiled shower, his & hers walk in closets, Den/family room fire place, separate dining room, laundry room , eat in kitchen, granite counter tops, custom cabinets, butlers pantry, office/study, coffered/tray ceilings, Caribbean Heart Pine floors throughout, crown molding, & a covered porch that runs the entire back of the home. 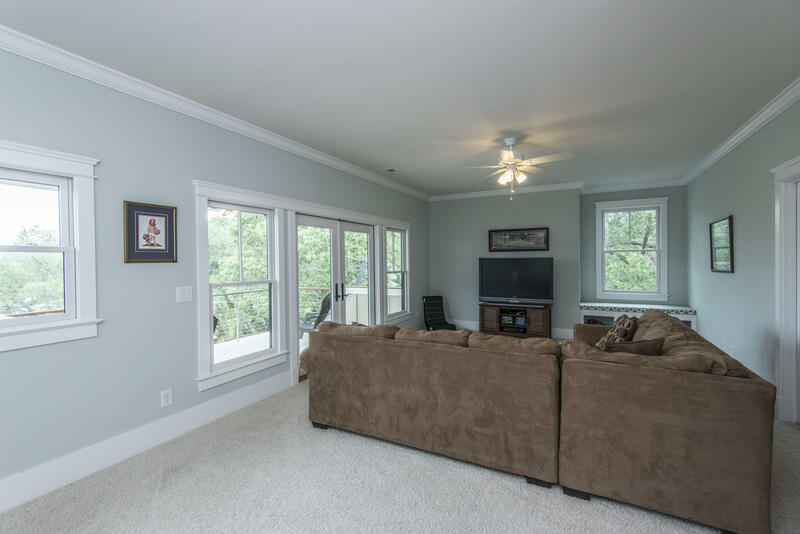 Floor 3 is over 1,300 sqft w/ 3 bedrooms, all on-suites. 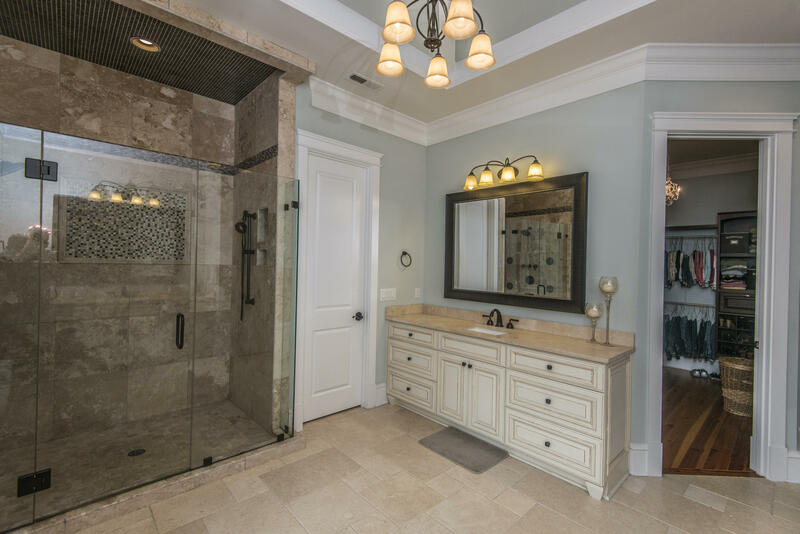 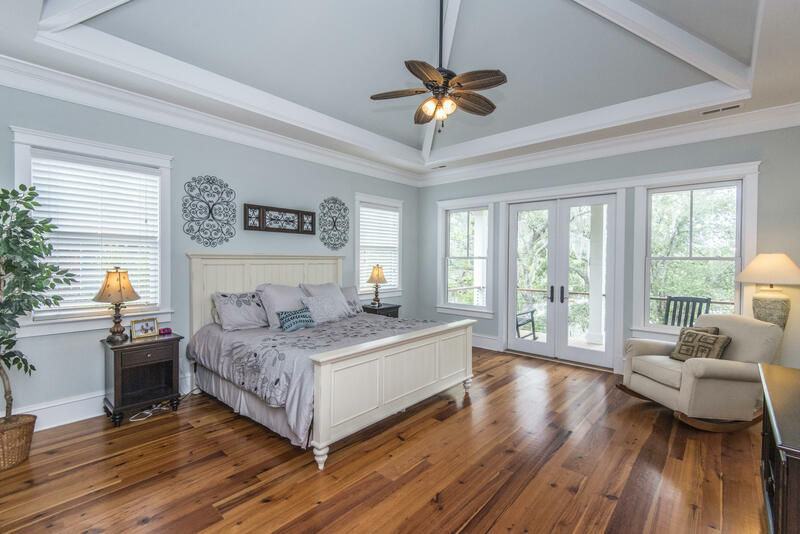 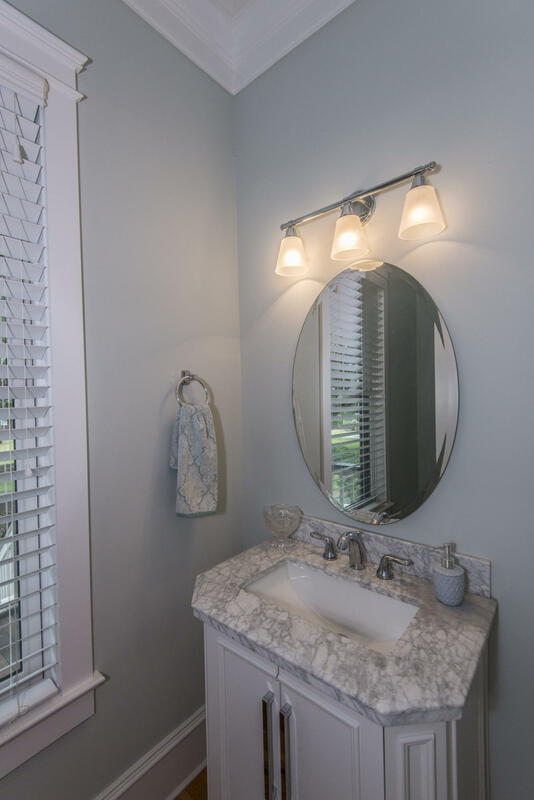 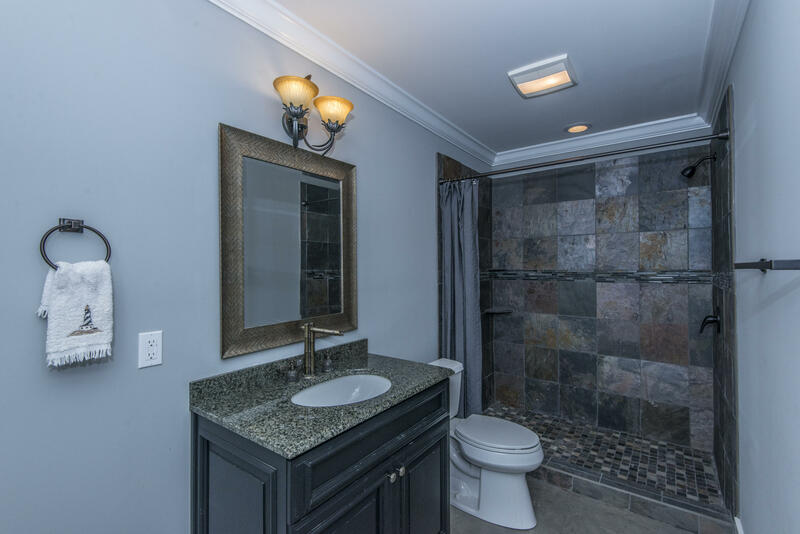 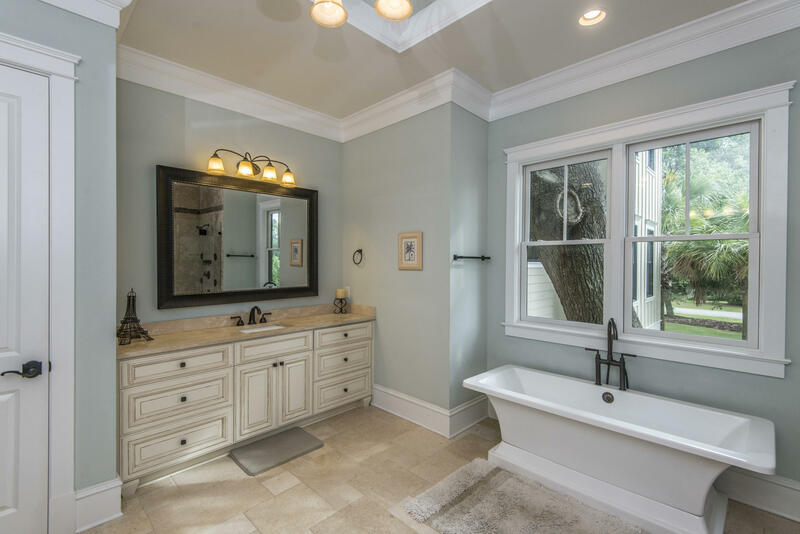 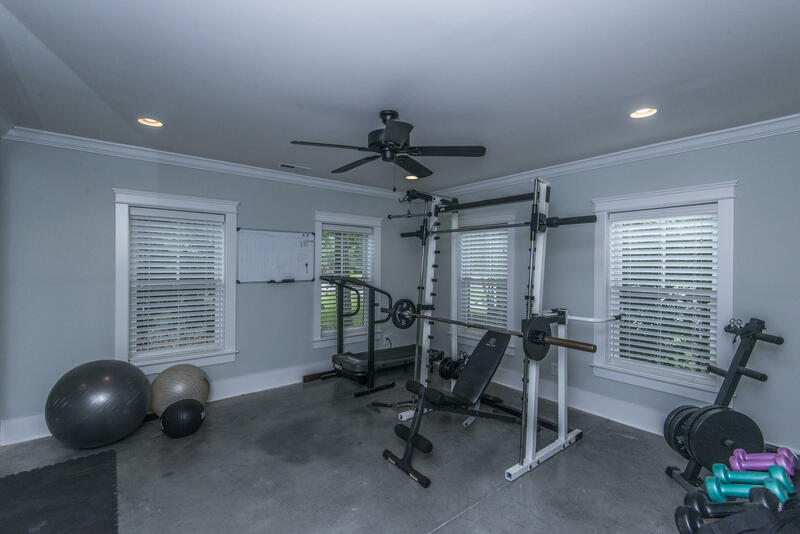 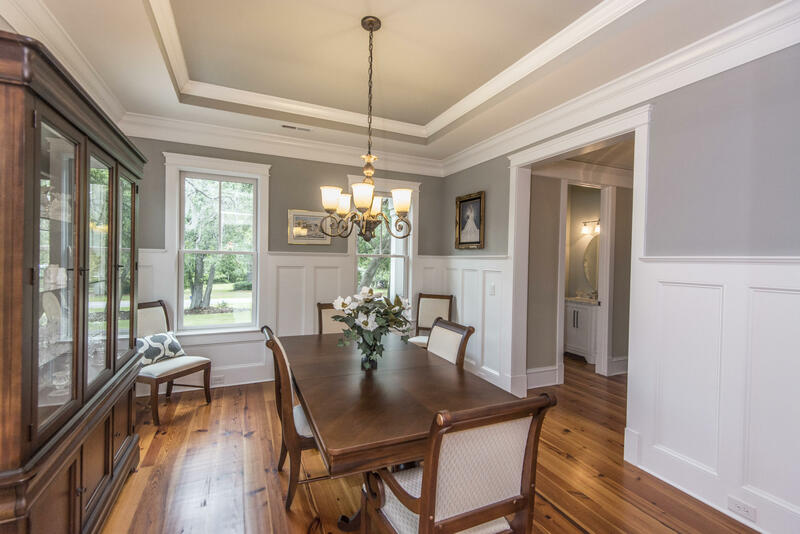 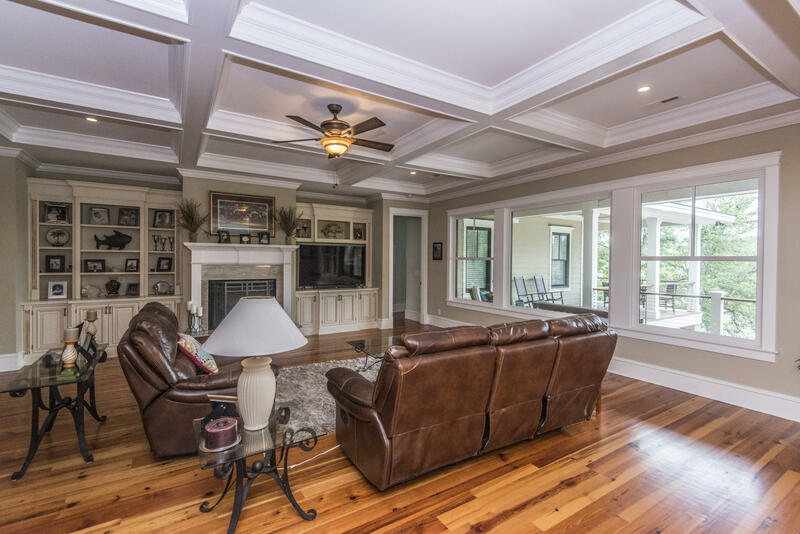 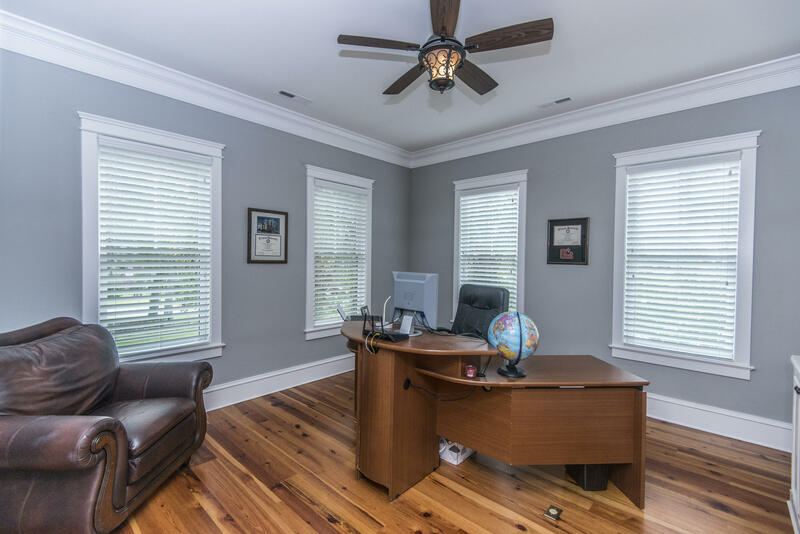 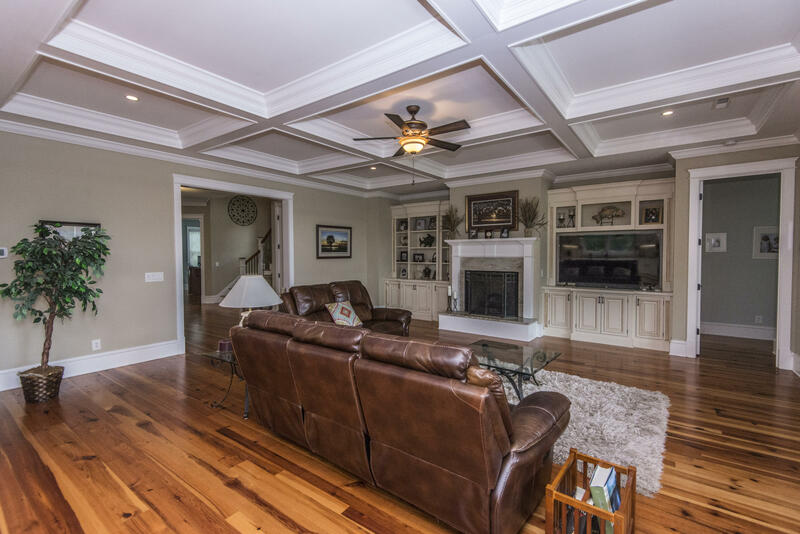 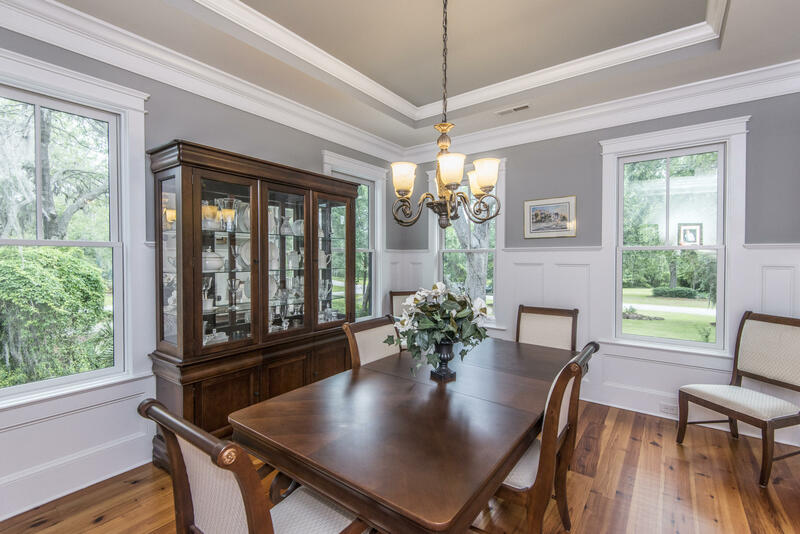 hardwoods in the hall & carpet in the bedrooms, tile in all of the bathrooms. 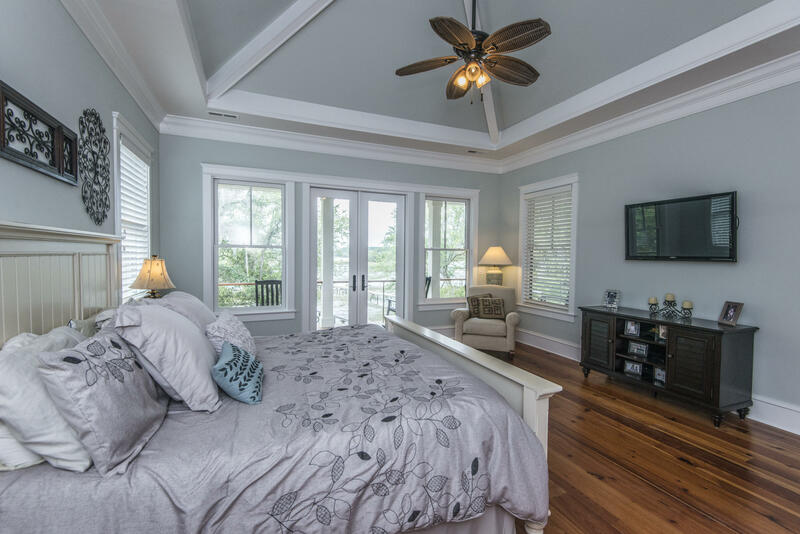 The 5th bedroom has a top floor porch too.